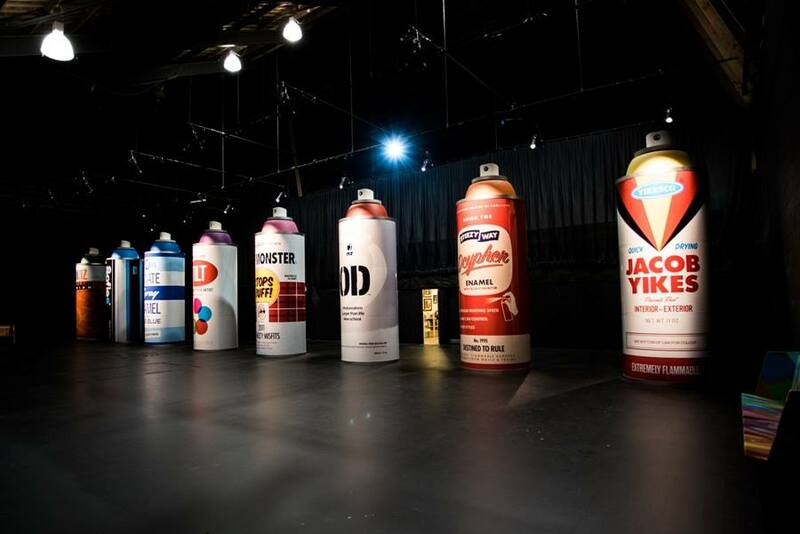 With support from many organisations including the YMCA and Christchurch City Council, this festival brings together international leaders of the Street Art movement to create wall art throughout the city with major displays located at the YMCA. Here is a link to a video of the Spectrum Show. Visit www.streetart.co.nz for more information. Here is a local TV news item about the festival. 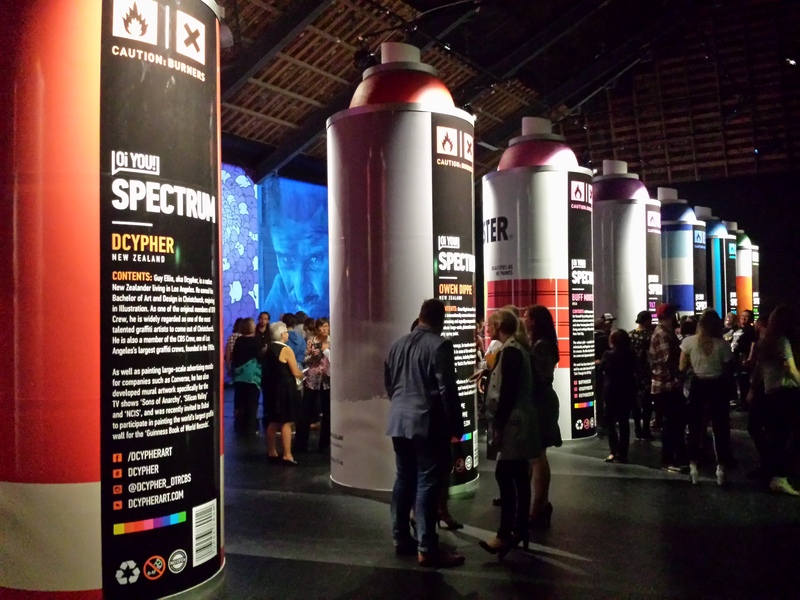 We provided Wallflower software and technical resources and Hewlett Packard provided players to deliver a show using 8 giant spraycans as well as a triple projector system for one of the projects. The 8 spraycans are realistic cans supersized to be 4.5 metres tall. Projectors and speakers concealed in the nozzles provide the sound and images. An orchestrated show progressively appears to spray images and information on the wall accompanied by realistic sound effects.